It's a recipe day today! I am so excited to share to you another #AMWCooks dish because I love this dish so much I wouldn't mind eating this daily! And what I love most about this dish is how easy it is to do even for the "busy" guys and girls! I call this as simple as Oriental-style tofu dish because I honestly wanted to go this Mapo Tofu, I can't, because this definitely isn't spicy at all! I can't cook spicy food because whatever I cook for the Mister, the Toddler eat it too! So I try to whip up healthier dishes as much as possible! Firm tofu. I buy mind from the supermarket (SM) that has Korean writings! 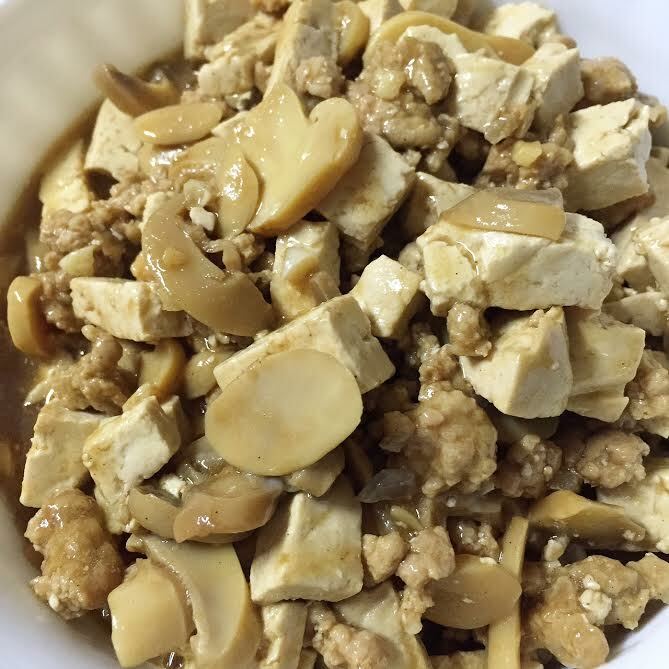 I find this tofu doesn't taste sour as some of the instant tofu you get in supermarket. Slice the firm tofu in small cubes, set aside. Sauteed onion and garlic in oil until garlic turned golden brown and onions transparent. Add a cup of water and pour in soy sauce, oyster sauce and Hoisin Sauce to taste. Add salt and pepper and adjust sauce mixture to taste. One happy with the taste, bring the sauce to boil and pour in tofu. Let it simmer for a couple of minutes, add water if you want more sauce to your dish. Turn the heat high, pour in cornstarch mixture to thicken the sauce. Optional: I also like to use this as a "filling" for fresh lettuce leaves! I hope you like this very easy and simple dish for your family! Share to me your thoughts and ideas on how YOU cook your tofu !